The community, east of Thunder Bay, was once home to hundreds of miners. It's now a seasonal cottage community. A small, now largely seasonal cottage community east of Thunder Bay, Ont., is celebrating a big milestone this year. Residents and property owners in Silver Islet are celebrating 150 years since the precious metal was discovered in the area, which led to the construction of the now-long-abandoned mine in Lake Superior that gave rise to the settlement. "We have a lot of history here," said Halina Gooder, the former president of the Silver Islet Campers Association, who just ended her most recent term, adding that many original families still have property there. "Just to keep people aware of their heritage, really," she added, as to why this year's commemorations are important. A mining expedition found silver on a small rock outcropping in Lake Superior near the Sleeping Giant in 1868 and mining started soon after. The Silver Islet community that housed hundreds of miners was built on the nearby shore and included family homes, a general store, hotel, jail and other amenities, Gooder said. The mine ceased operation in 1884 as silver prices fell and a shipment of coal — which powered the pumps that kept the underwater mine shafts from flooding — didn't arrive. According to the campers association website, people began turning the community into a summer cottage retreat in the early 1900s. Despite some changes over the decades, like the construction of an all-season road to the community, more and newer cottages and homes being built and the introduction of some telephone communication, the settlement still has a "small community feeling," Gooder said. "I mean of course it's changed because, you know, we've put in windows that are now triple-paned rather than single ... and we now have a paved highway rather than coming in by steamship," she said. "But ... definitely it still has that community and small town feeling." Silver Islet is still not on the provincial power grid and doesn't have cellular reception. 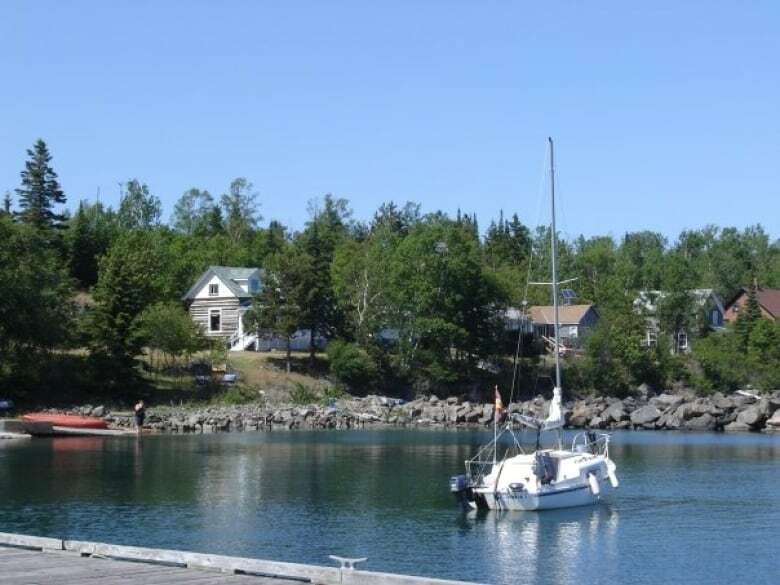 It is, however, one of several water accesses to the Lake Superior National Marine Conservation Area, although the large, government-owned dock is still closed. There has also been renewed interest in nearby lighthouses and dive tourism on area shipwrecks. "People just weren't really aware that there was this beauty out here and now they are," Gooder said. "There's more and more interest shown because there's more and more people working on revealing it." Commemorative activities this summer have included a toast to the miners, a wine social and the production of a play, Gooder said, adding that another project is in the works: a book to collect photographs and document the stories and histories of the community's families.